To get started with the Fusioo API, you must first register an application with Fusioo. 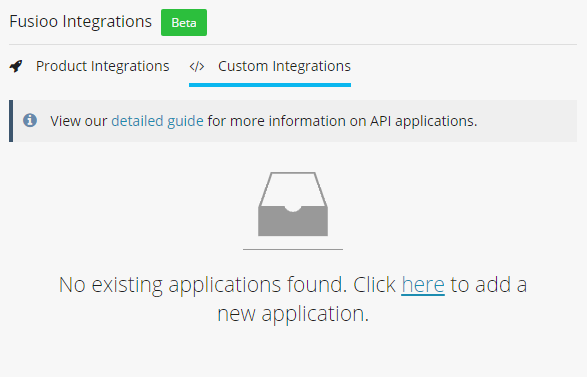 To do so, just head over to the integrations page and switch to the Custom Integrations tab. App Name required - A name for your application. A user will see this name when your application requests permission to access their Fusioo account. The application name will also appear in the list of connected applications for that particular user. Redirect URI - This is the URI the user will be redirected to upon successful or failed authentications. Once you create your application, a Client ID and a Client Secret will be automatically generated. This Client Secret must be protected at all costs; if the secret is compromised, a new one must be generated and the authorized application will have to be updated with the new client secret. As the name suggests, a private API application is meant to be used only by its owner. 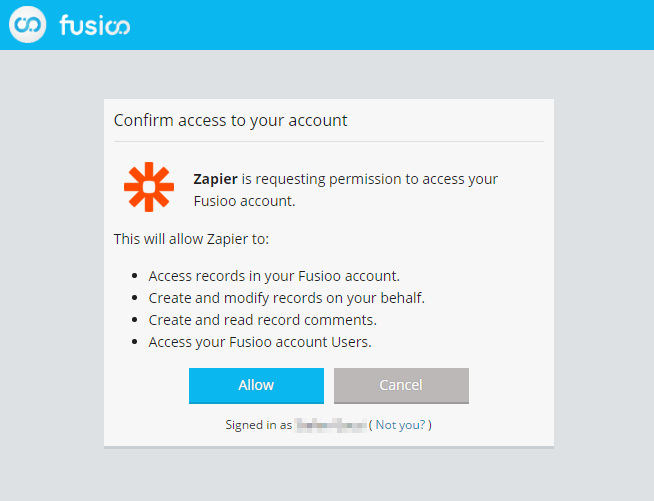 With this type of API application, you can't access other users data by giving them the option to enter their Fusioo credentials. When an API application is set to private, you can generate an access token directly from within Fusioo without manually going through the authentication flow. When you set your application to private, you have the option to use the credentials grant. Whenever you click Allow in the Grant Access page, you are giving an application access to your Fusioo Account. In the Integrations page, under Connected Applications, you will find all applications you have granted access to. This section will include both in-built integrations (like Zapier) and Custom integrations (applications that you, your team or a third party vendor have developed). When you click Revoke Access, you will immediately remove the access privileges given to that application. Whenever you use that application again, you will be once again asked to grant permissions.